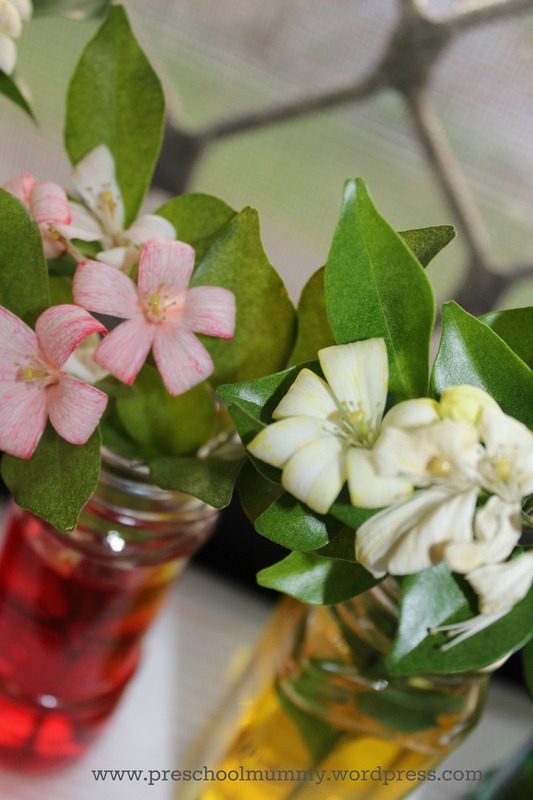 Prepare by pouring 10-15 drops of food colouring into each vase, and placing vases on folded, doubled paper towel. Help your child pour water into each vase. 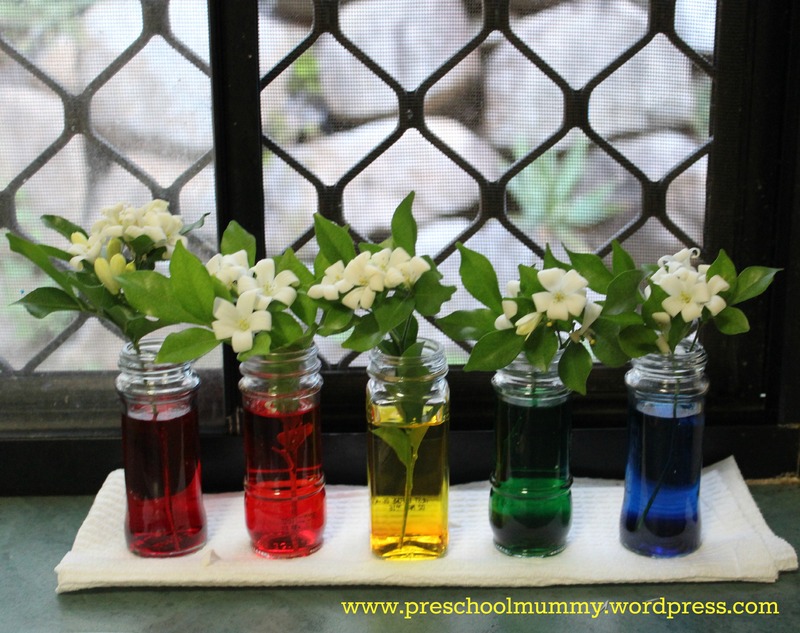 Have your child put one white flower into each vase. Leave overnight. Observe the following morning, and again the following evening. Master 4 was thrilled to wake up and see that the red-, yellow- and orange- vased -flowers had turned vibrant colours. By the evening, the flowers in the blue and green water had also taken on their respective colours. We talked about why this happened. Plants usually draw water from the ground through their roots, distribute it through their “veins” in their leaves and flowers, and use it to make food. When a flower is cut and no longer has roots, it can still “drink” water up through it’s system for nourishment. The coloured water can be seen in the veins of the petals, giving the appearance of a coloured flower.